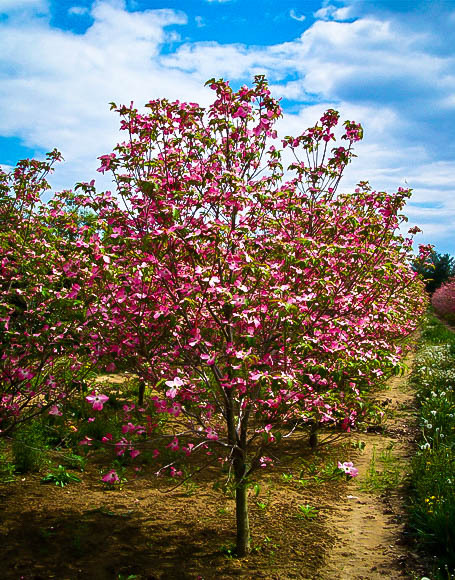 The Cherokee Brave Flowering Dogwood is a spectacular spring-flowering small tree growing to around 25 feet, suitable as a lawn specimen, planted among other small trees and shrubs, or planted in a natural way along the margins of wooded areas. It is hardy to minus 20, so it can be grown in almost all parts of the country, and it thrives in both cooler and warmer zones. 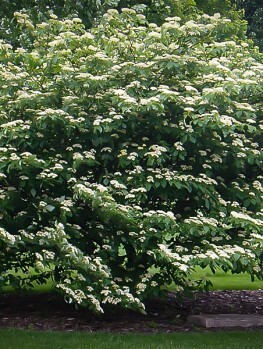 It will grow in most soils and is more drought-resistant than other types of flowering dogwoods. 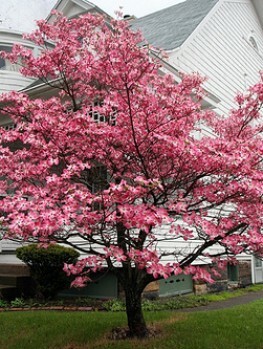 Every spring your tree will be smothered in large, bright pink flowers, making a spectacular display. In fall it will turn brilliant shades of crimson and red, setting the garden ablaze. 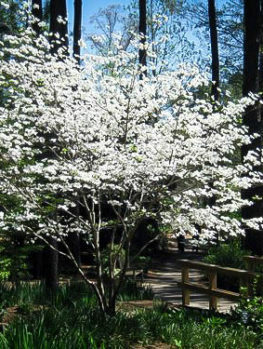 Plant the Cherokee Brave Flowering Dogwood in full sun or partial shade, in soil you have enriched with organic material. Keep it well watered for the first year or two – once it is well established it will survive regular summer dryness with ease. 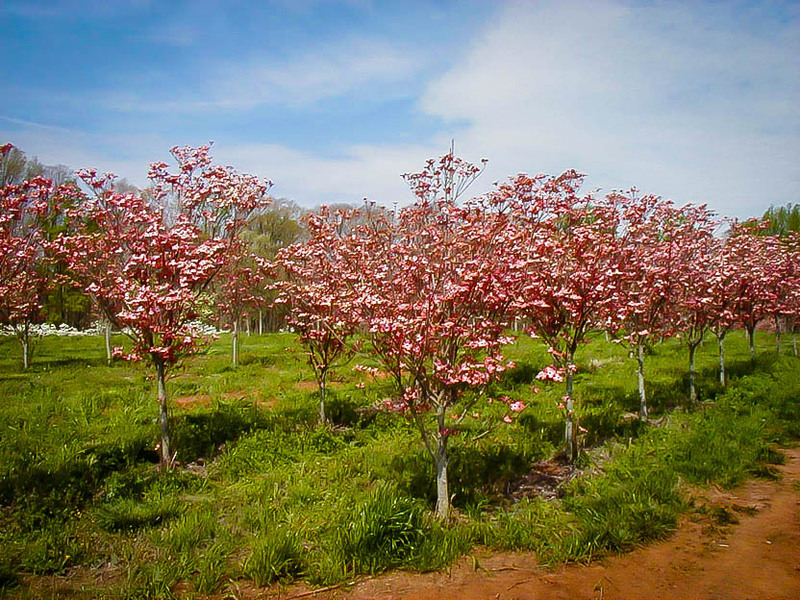 This variety is disease resistant and sturdy in growth and is superior to other varieties of pink flowering dogwoods. It will liven up your spring garden and bring joy to everyone who sees it. Spring is the time when our trees burst into flower, and when we feel the surge of life return to our gardens. 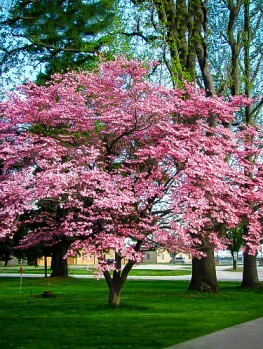 There are many flowering trees to choose from, but one of the very best and most admired is the flowering Dogwood. These small trees are native American plants that make a spectacular display of flowers on the bare branches in early spring. The wild plants have white flowers, but thanks to the efforts of plant breeders we now have even more spectacular trees with bright pink flowers. The Cherokee Brave Flowering Dogwood is one of these newer pink-flowering forms that has really caught the eye of gardeners and become a real favorite with everyone who sees it. 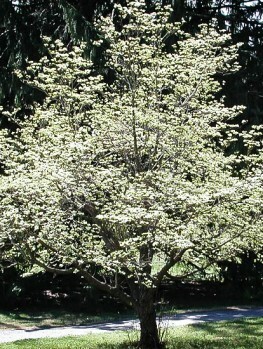 Not only that, it is more drought and disease resistant than other types of Flowering Dogwood. This means that it is easier to grow, and needs very little maintenance to reward you with a spectacular floral display in your garden every spring. This novel new tree was discovered among a batch of seedlings at the nursery of Hubert Nicholson of Decherd, Tennessee. He noticed it was very vigorous, growing 50% faster than other red-blooming Dogwoods. 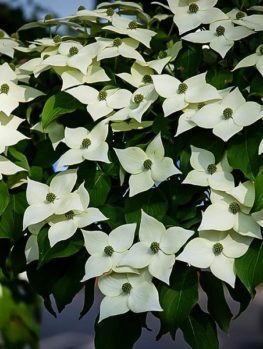 Most importantly, the new tree seemed to have built-in defenses against powdery mildew and anthracnose, diseases that can cause problems for other flowering Dogwoods. 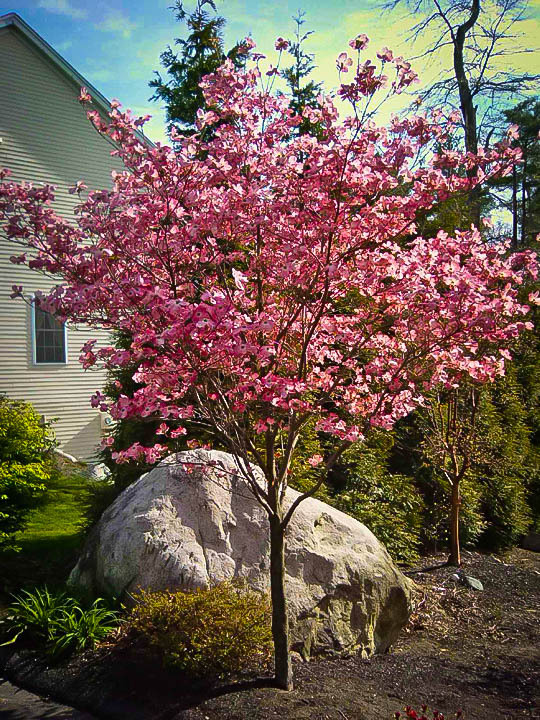 You can plant the Cherokee Brave Flowering Dogwood as a specimen tree in your lawn; it is an ideal size for a smaller garden. Alternatively, it can be planted among other shrubs and trees in your borders, or along the edges of wooded areas. It will grow well in sun or partial-shade, so it is easy to find a place for this beautiful tree in your garden. It grows well in any average soil that is well-drained, but it will benefit from plenty of organic material mixed in while planting, and should be mulched regularly with organic mulch. Once established it will withstand average summer dryness well, but it benefits from being kept moist. The wild flowering Dogwood is native to Maine and southern Ontario, growing from Illinois to Kansas and south to Florida, Texas and into Mexico. It is the state tree of Missouri and Virginia. Every spring the woods come alive with the white blooms of this tree. What look like four large white petals, in a flower 4 inches across, are actually modified leaves that botanists call bracts. What look like small greenish buds in the center of the flower are the true flowers. In the Cherokee Brave Flowering Dogwood the bracts are a rich pink color, fading to white in the center, making an already beautiful tree a truly spectacular addition to your garden. As the flowers fade the leaves emerge. These are 4 to 6 inches long, shaped like spear-heads, with long veins making deep grooves in their surface. They are reddish when young, adding more interest to the garden. The branching is semi-horizontal, producing a wide-spreading specimen that is a graceful addition to your garden. This tree, even just with leaves, is an elegant sight and a great feature. But that’s not all; in fall the leaves turn brilliant shades or rich red and make a spectacular fall display that will bring your garden alive. The small true flowers turn into red berries by fall, and although these are not edible to humans, they are loved by birds, so you will also be supporting local wildlife when you plant this tree. Choose a location in full sun or partial shade for your Cherokee Brave Flowering Dogwood and allow enough room for it to spread, as this is a broad tree. Choose a spot that is well-drained and avoid places where water stays after rain. Enrich the soil with plenty of organic material and keep your tree well watered during its early life. Once established this is perhaps the most drought resistant of all the flowering Dogwoods. It is also more vigorous and faster growing than any of the other pink flowered Dogwoods, as well as also being more disease resistant. At the Tree Center we are proud to be able to offer you such an outstanding and premium tree that will grace your garden and bring joy to your heart in every season of the year. 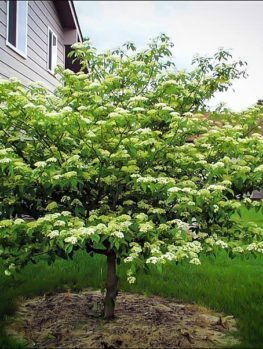 Choosing the best variety is always the rule to follow when deciding on trees to plant – and the Cherokee Brave Flowering Dogwood is definitely the best choice you can make. However, our supplies of this special tree are limited, so order now, sit back, and enjoy the best.